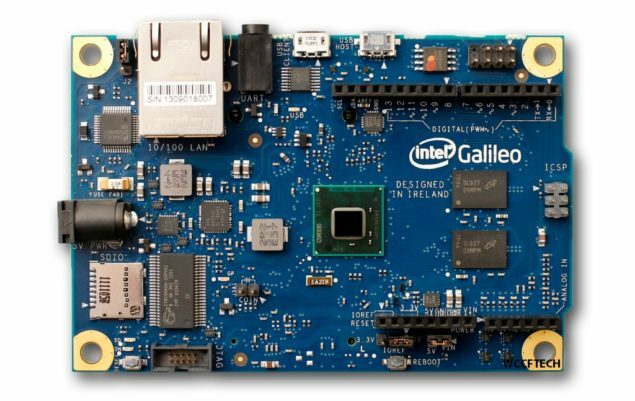 Intel’s Quark processors mark the beginning of Intel’s next step in the miniaturization of the smart PC. However much like the early days of Atom, its not being taken very seriously at the moment with progress slow and lathargic. Slides showing detail about the project, specifically Liffy Island and Seal Beach, have just leaked from the site Myce.com. “Liffy Island” processors will still have 1 CPU core with no support for Hyper-Threading. Core clock will be upped to 533 MHz and the size of L1 cache increased to 64 KB. The efficiency of the CPU efficiency is slated to be 1.5(Dhrystone MIPS)/MHz up from 1.25. 1 MB of L3 cache will also be included on board and support for DDR3 and DDR3L memory included. Interestingly ECC memory is supported as well and the maximum throughput the processors can stand is 1066 MT/s and the maximum ram 2GB. New I/O hardware upgrades on the Liffy Island SoC will be an 8-channel ADC controller, CAN bus ports and I2S support for Audio. Integrated Ethernet controllers will support speeds of upto 1GB/s. TDP of “Liffy Island” chips will be ~2 Watt, although even lower powered versions with around 1.5TDP will come soon. Now coming to Seal Beach chips one of the major upgrades will be in the iGPU and support for SSE2 instruction set (wow thats old). Efficiency will be 2DMIPS/Mhz. The memory controller supports 1066 Mhz memory and the GPU will have MIDI DSI and LVDS interfaces with support for MPEG2 video decoding. The Ethernet controller will be 10/100 which is lower than the one provided with Liffy Island. 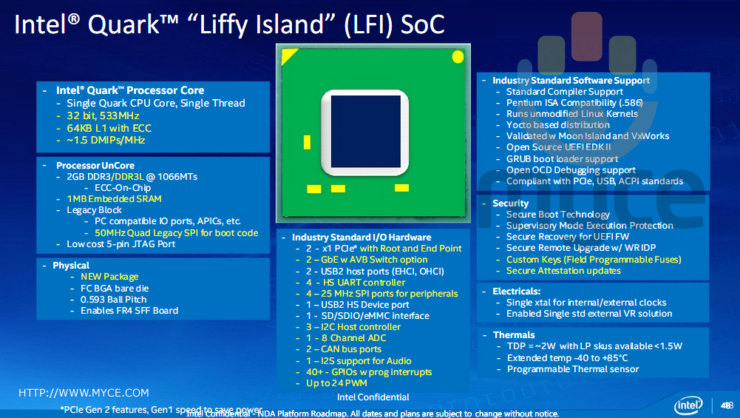 Most of the hardware specs will be the same as Liffy Island. The actual difference is, that Seal Beach will officially support Windows operating systems. This is certainly an interesting project with great potential, however the market of these devices is currently occupied by Raspberry Pie. 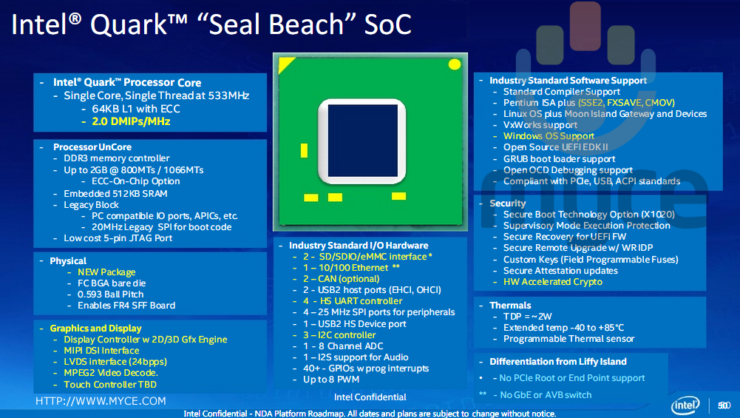 Seal beach with its support for Windows could make a difference but Intel should still focus on OEM based approaches to penetrating the market. Intel Quark Delayed till Mid-Jan 2014, Users NOT Getting Galileo within Two Weeks.